NewPoint Food Industry Marketing: Why that? Why now? From the outside, it may look like we are walking away from idc—we are not. One would think that idc (full name: Indiana Design Consortium), a company celebrating 45(!) years of business, would proudly embrace and trumpet its storied and successful history as a thriving business that grows other businesses across many industries and categories. And we do. We’re very proud of our history and we’re owning it. At the same time, food industry marketing has always been a huge part of idc. What many folks and local businesses in our region don’t know is that over the past 30 years up to 60% of idc’s client base has been in the food industry. So we’re owning that, too. Since timing is everything, why now? The time is right for small, mid-sized and regional food brands. I repeat: 4x the annual growth rate! This is something we talk about obsessively at NewPoint and our role in food industry marketing. This shift is consumer-driven, with contributing factors that include a growing distrust of big food companies and a trend toward buying local—factors that prove advantageous for smaller, more nimble brands that are seen as far more transparent and socially relevant in their home regions. To be clear, idc marketing is not going anywhere. We have a great client base and a regional business legacy that we will continue to honor and grow. But we wanted to strike while the iron’s hot, which for the local and regional food industry, is now. 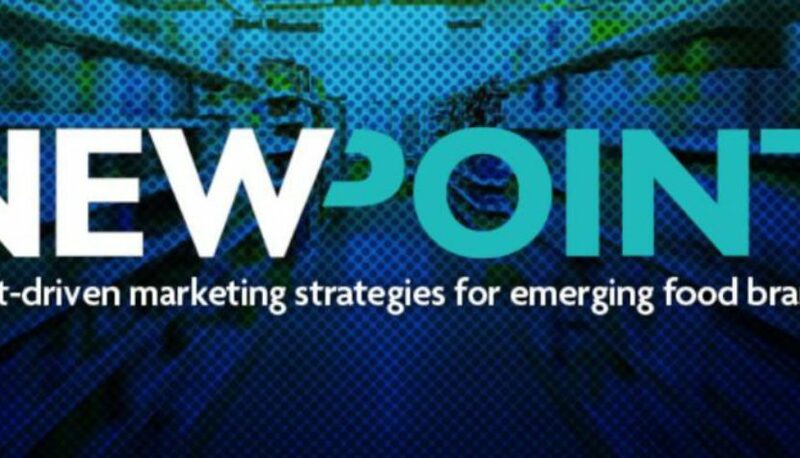 So we’re proud to announce we’re launching NewPoint as a sister company dedicated only to food industry marketing. The new name and brand position speak to the larger, national reach of our food industry client base in a way that idc marketing or Indiana (geographically kind of limiting) Design (a word that held a lot more cache in 1972) Consortium (have to explain what it that means to everyone—also no longer technically true) cannot. A new brand, a second job. We will be investing lot of marketing support into NewPoint starting at home with some neat projects brewing with Indiana Grown, Purdue Ag Food Sciences and other regional food companies as well as some national-reach food industry participation. So—stay tuned for NewPoint!